Our Protector series of IP65 vandal resistant swinghandles have been designed specifically for installations on street furniture or cabinets in isolated areas where spurious attacks are high risk factors. 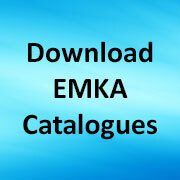 We now have a new electronic version of the range which adds a further layer of security whereby the electronic operation provides remote keyless operation plus the facility to provide access logging via the EMKA ELM – Electronic Locking and Monitoring platform – which can also monitor the cabinet’s internal environment, e.g. with accelerometers or temperature/humidity sensors. The electronic Protector handles are available in full size and as compact variants in zinc die-cast certified to WK2 (RC2, resistance class 2, protection against vandalism). They are rated IP65 and are shock and vibration proof. As part of a multi-door keyless system the Protector may be teamed with the Program 3000 electro-mechanical single point latch which provides concealed locking with high mechanical strength on other doors in the installation. 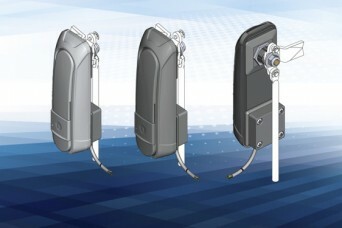 Both the Protector and the single point latch feature mechanical override for emergency access if required. Share the post "Electronic Operation for IP65 Vandal Resistant Swinghandles"